NYIAS remains a favorite model reveal launching pad for Honda, the fastest growing automotive brand in the United States. Predicted market availability for Clarity BEV, (battery electric vehicle) and Clarity, gasoline/electric hybrid, is Fall of 2017; just around the corner in automotive development time. Highlights of today’s announcement include a stated 40 mile-electric-only drive range for Clarity Hybrid, making it one of the greatest electric-only drive range hybrids available to North America. Read my Torque News slant on the Clarity lineup here. 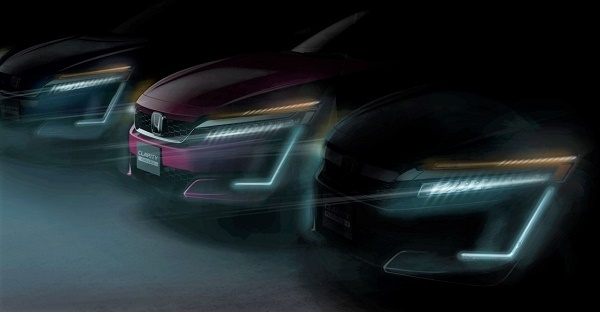 Say what you will Honda, in today’s rapidly developing mainstream electric vehicle market, a “real-world” realistic battery-electric drive range must exceed 130, and better yet, approach or exceed 200 miles between charge cycles. Unfortunately, this is not the case for the much welcomed Clarity BEV. We’ll see where it all lands. 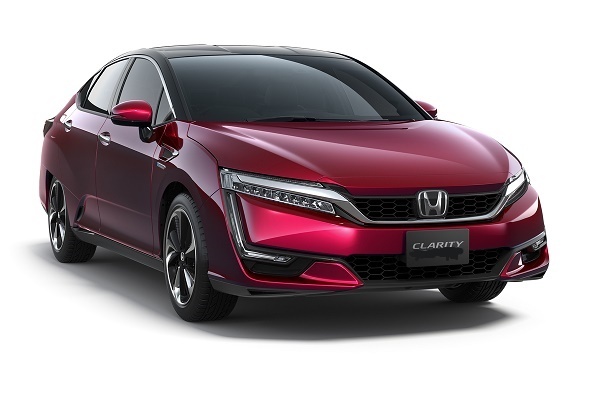 Looking to the electric market handwriting on the wall, and the increased sales performance for the 2017 Honda Accord Hybrid, I believe the winner of the Clarity trifecta to be the hybrid. I love the zero emissions quotient of the Clarity Hydrogen Fuel Cell. But, before that innovation can go mainstream, an escalated expansion of the Hydrogen Fuel Network must ensue. We’re 3-years into that proposition in California, with 18 stations or so completed to date? Progress, yes, it’s slow, but meaningful. Next week we take our first spin behind the wheel of Clarity Fuel Cell. I’m excited. look for updates here. If you could purchase a ZERO emissions vehicle for under $40,000, would you? Let us know what you would like to see come to market in a long-trip-viable, supper low emissions car or light truck. Your thought provoking comment is always welcomed here. i think so just around the corner in automotive development time.